Residents will see a new fire command vehicle on the streets in the near future. Borough commissioners approved an ordinance on second reading for the acquisition of a fire department command vehicle at their July 12 meeting. “This (vehicle) will be better equipped and will help in responding to fires and other calamities that happen,” Commissioner Neal Rochford said. The first part of the ordinance gives the borough the authorization to acquire the command vehicle, which is estimated to cost $55,000. The second part of the ordinance calls for the appropriation of that $55,000 from the general capital surplus fund for the payment. According to Rochford, the old command vehicle has many miles on it. The purchase comes after commissioners approved the purchase of a new fire truck in April, paying for it by re-appropriating leftover bonds. It too was for the replacement of a truck that was more than 25 years old. Commissioners also approved an ordinance on first reading that amends the borough code to set the rate for fire inspection and a fee waiver for new houses. According to the ordinance, the inspection fee is $35 if the application is submitted and paid for more than five business days prior to settlement. The fee is $75 for less than five. If the property does not comply with the inspection requirements, one additional re-inspection will be made at no cost, and any after that are $25 each. Additionally, a waiver of the fee and inspection will only be authorized for the sale of a newly-constructed home within 60 days of the issuance of a certificate of occupancy by construction officials. “This just changes one of the waiver requirements for new construction,” Rochford said. The approval of the ordinance on second reading will be at the next commissioners meeting on Aug. 16. ­• Commissioners approved additional ordinances on second reading. One amended the borough code to say District Management Corporation members will be appointed and effective June 1 of each year, rather than Jan. 1, and the other amended the code to allow for a maximum of 100 permits to park for employees. The latter ordinance included a resolution setting the permits to 40 monthly, which was also approved. The 100 maximum is so the borough doesn’t have to keep changing the number if more are needed in the future. • Commissioners also approved a second ordinance on first reading that would amend the borough code to allow for certain businesses to put out a free standing bill-of-fare sign, better known as a sandwich board. A business that has retail merchandise in at least 51 percent of the square footage of their floor space may apply for such a sign. • Kimberly D’Angelo was sworn in as an active member to Haddonfield Fire Company №1, and Joseph R. Walls was sworn in as an active fire explorer. Explorers are high school students who are looking to get more involved in serving the community and further their knowledge and skills in firefighting and other public safety activities. • A proclamation was given to Lance Curley in appreciation of his service to the borough. Curley has been serving on the Human Relations Commission since its inception. • Commissioners approved the 2016 Green Communities Grant. The Green Communities Designation and Grant Program helps municipalities navigate and meet the five criteria required to become a Green Community. 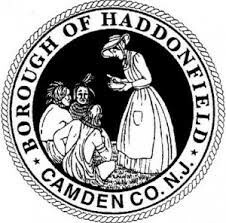 • Commissioners approved a change order for the Haddonfield Public Library Improvements Project, increasing the project by $12,581 for a total of $2.12 million. • The next commissioners meeting is Aug. 16 at Borough Hall starting at 7:30 p.m.